2016, Ink and Watercolor on Paper, 20 x 14 in. Gris Grimly’s extraordinary vision has been haunting the imagination of fine art and illustration collectors since he first arrived on the art scene in the early 90’s. Primarily known for his dark drawings for young readers, Grimly’s distinctive style of intricate lines and startling layouts combine an exceptional use of carefully controlled water-color and ink washes. In 2012, his work was selected to appear in Spectrum: The Best in Contemporary Fantastic Art, the leading arts journal showcasing the best and brightest fantasy and science fiction artists around the world. Grimly was in good company at a very young age, sharing the pages of this prestigious publication with the likes of James Gurney (Dinotopia), Peter de’Seve (noted for his covers for The New Yorker) and Caldecott winners Leo and Diane Dillon. 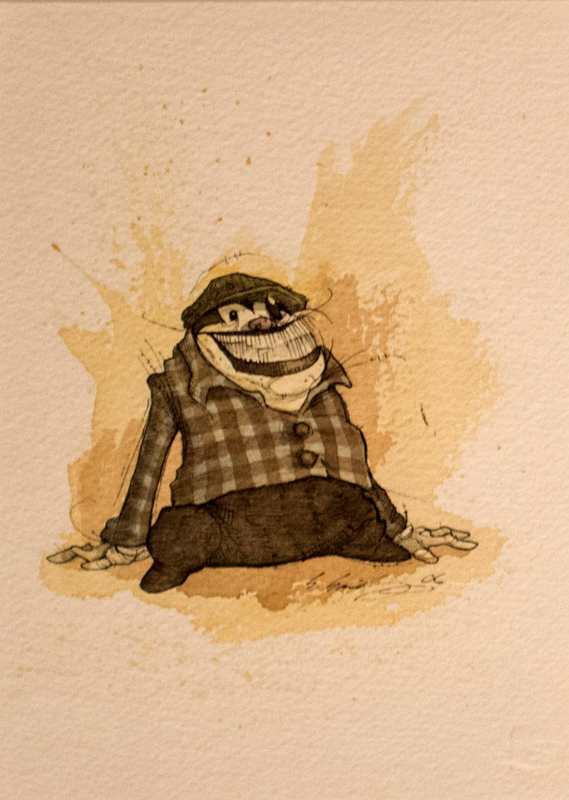 Grimly currently works as a children’s book illustrator who moonlights as a painter. 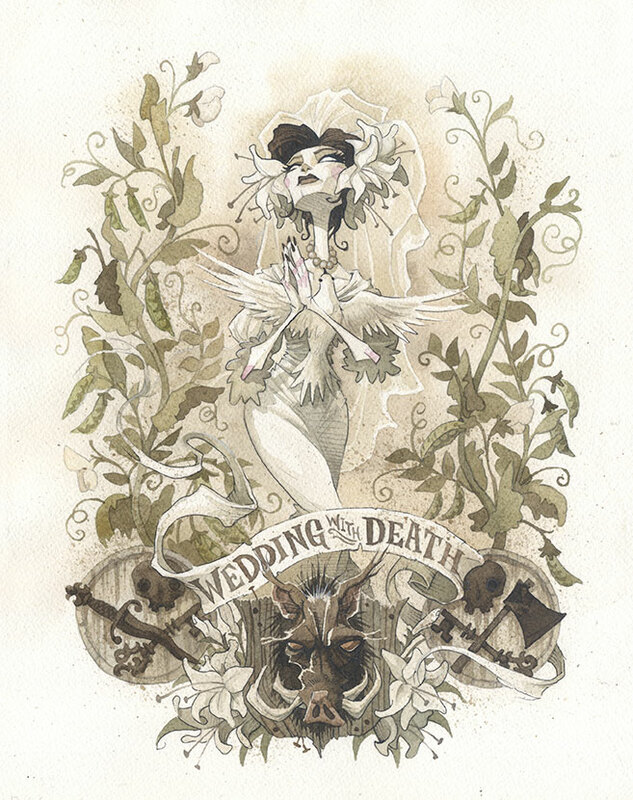 Some of his best-known illustration works include Gris Grimly’s Frankenstein, Edgar Allan Poe’s Tales of Mystery and Madness and Neil Gaiman’s bestselling picture book, The Dangerous Alphabet.